Schult Riverview Singlewide 204| Excelsior Homes West, Inc.
Are you tired of renting? The Schult Riverview Singlewide 204 may be the perfect option for you and your housing needs! The Schult Riverview Singlewide 204 is a great option for home buyers who are looking for a simple, yet functional home. Perhaps you are looking to buy a home rather than renting a home or an apartment – this singlewide is a great option! 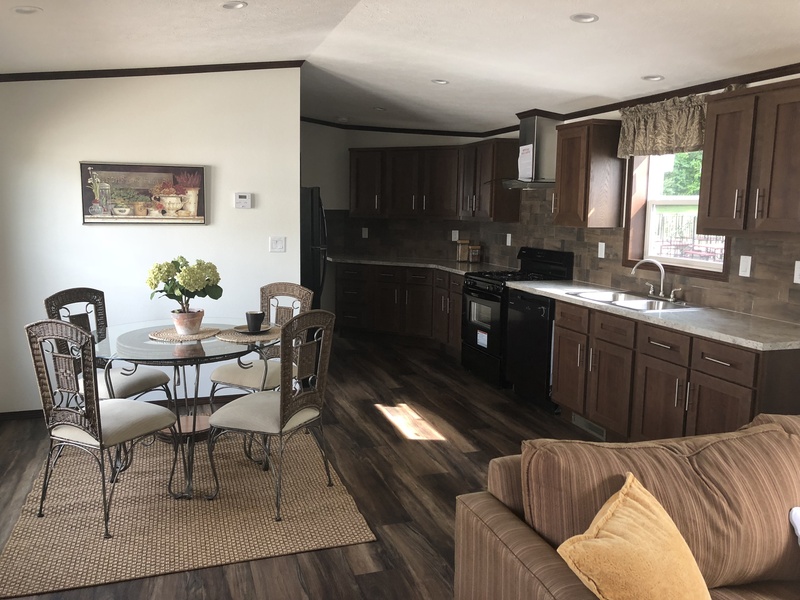 This Schult Riverview Singlewide 204, is on display in Eastview Mobile Home Park in Annandale, MN. There is also a model on display in our Hutchinson model home lot that can be placed where desired. The floor plan features a nice open and bright layout. The master suite includes a spacious bedroom with an attached walk-in closet and bathroom. On the opposite end of the home you will find two additional bedrooms with a second bathroom between. Make the Schult Riverview Singlewide 204 your home. Purchase our model home in Annandale or place a custom order today! Home buyers have the option to purchase the Schult Riverview Singlewide 204 that we have on display or order with the colors and options desired. Reversing the ends is an option to allow the best fit for the delivery location. We can place this home in a mobile home community or on your private property, if approved, in Minnesota, North Dakota or South Dakota. Pricing includes piers to code, delivery within 100 miles, installation / set-up, skirting, and air. Additional expenses could be required permits, inspections, excavation & site-work, and utility connections. Contact us for pricing today or stop by and view this home today!